Once in a blue moon I’ll go through Etsy’s Pounce feature, which allows you to check out items that just sold (good to see what people are buying) or brand new shops that have yet to have a sale. Usually looking at the new shops that have just opened does little for me, but these hooty hoos caught my eye. 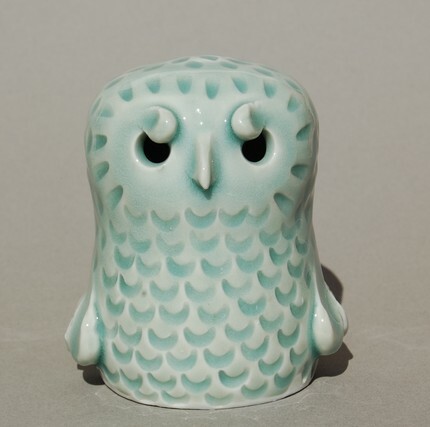 I know owls are such a cliche in the craft world, but I will always be fascinated by them. This ceramic artist has representations of many different types in soft and beautiful color ranges. It seems that he is updating his shop as I type this as new owls keep appearing. Make his day and give him his first sale. Owl bet that he’ll be popular on Etsy!